We are Dutch and international students from the Hogeschool Utrecht. 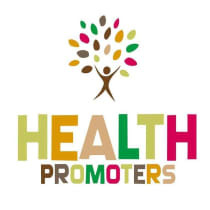 Together we are organising a fundraiser for the Friends of the Health Promoters in the Netherlands (NPO with an ANBI) at a Christmas market called Kerstmarkt Elzasplein 9th of December (16:00-21:00). Since our project should be selfsustainable, we want to raise the money for the rent of the stall at the market. We will be selling the newly released bracelets of the Health Promoters and Christmas treats from our home countries. All the money will go to the educational project from the Health Promoters. They are a non-profit organisation that teaches hygiene and health promotion to adults and children living in the poorer, under-developed areas of South Africa.